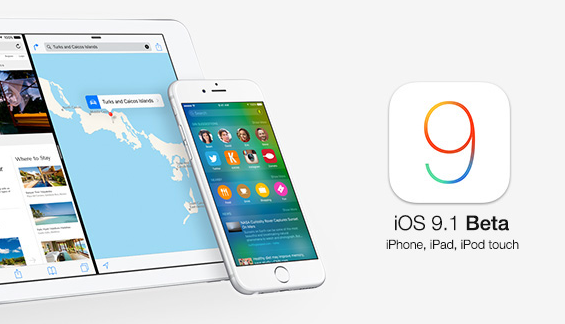 The all new iOS 9.1 Beta series has been started by Apple, after releasing iOS 9 Final Version. The latest iOS 9.1 Beta 1 (Build: 13B5110e) Firmware and Xcode 7.1 Beta 1 (Build: 7B60) with Apple tvOS Beta 1 (Build: 13T5347l) Software for iPhone, iPad, iPod Touch and Apple TV devices are available for iOS developers, non-developers and public beta testers for upgradation and updation. Apple smartphone, tablet and Apple TV device users can Download iOS 9.1 Public Beta .IPSW Firmware Files for iPhone 6S, iPhone 6S Plus, iPhone 6, iPhone 6 Plus, iPhone 5S, iPhone 5C, iPhone 5, iPhone 4S, iPod 6G Touch, iPod 5G Touch, iPad Pro, iPad Air 2, iPad Air, iPad 4G, iPad 3G, iPad 2G, iPad Mini 4, iPad Mini 3, iPad Mini 2 and iPad Mini via Direct Links. What's New in iOS 9.1 Beta Features? The changelog of iOS 9.1 Beta 1 Update includes, all new emoji icons and symbols with popular middle finger emojis, stability and performance improvements, bugs fixes and security enhancements. Just like previously released iOS 9 firmware final version, Untethered iOS 9.1 Beta 1 Jailbreak with TaiG, PanGu or PP Jailbreak Tools are not possible. 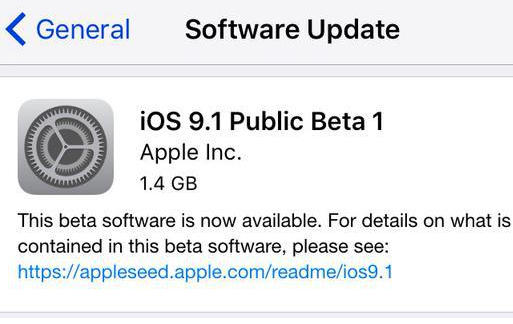 How to Manually Install iOS 9.1 Beta Update? Apple iOS 9.1 Public Beta 1 OTA Update is instantly available for all Apple iDevice users through Settings > General > Software Update function under settings. All official iOS developers can visit iOS Dev Center website for iOS 9.1 Beta 1 Downloads, whereas iOS non-developers (general public users) can install and activate iOS 9.1 Beta 1 without UDID developer account using iTunes for Free. The Direct Download Links of iOS 9.1 Beta 1 .IPSW Firmware Files for iPhone, iPad and iPod Touch are available below.